Is Epstein Barr Virus Linked to Autoimmune Disease? 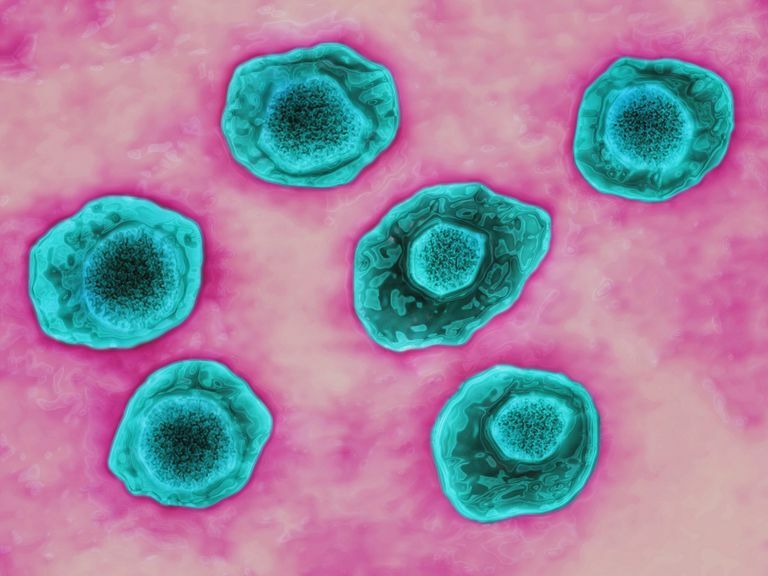 According to a study published in 2018, a single, common virus called the Epstein-Barr virus (EBV) may interact with your genes to increase your risk of developing any of seven autoimmune diseases, including lupus and several others. Scientists have known for a long time that EBV was linked to autoimmune disease, but this study appears to tell us one reason how, which is an important step in understanding these illnesses. Researchers say the virus appears to "switch on" certain genes that make autoimmune disease more likely down the road. The Epstein-Barr virus is one of the most common viruses to infect humans. Almost all of us carry it in our bodies. Mono has a notoriously long recovery period, as it's difficult for the immune system to get and stay on top of it. Once it does, though, the virus generally remains dormant. However, it stays in your body forever. That's because EBV is a member of the herpesvirus family, and once you contract a herpesvirus, you never get rid of it. Even so, since it's usually dormant, it doesn't cause long-term problems for most people. If it does become active again, a healthy person's immune system typically does a good job of fighting it off and getting it back into a dormant state. Often, the person doesn't even know anything has been wrong. A healthy immune system sends out specialized cells to kill dangerous things that invade your body, such as viruses and bacteria. In autoimmunity, there's a case of mistaken identity. The immune system starts tagging something that's supposed to be there—such as an organ or a type of tissue—as a dangerous invader. It then starts sending those cells to kill it. This triggers inflammation and tissue damage, which can cause pain. Fatigue comes on, too, because your body thinks it's under attack and diverts resources to the fight. Other symptoms depend on what's being damaged. For example, if it's your pancreas, which produces insulin, your body will begin to have trouble processing sugars. Most of us think of genetics as a fixed thing—you have genes for brown hair, so you have brown hair. However, it's not that simple. Different things, including illness and environmental factors, can switch genes on or off. Think of a breaker box, with all those switches. Turn one off, you lose power to an area of your house. Turn it on, things roar to life. What this study demonstrates is that EBV appears to have the ability to switch on genes that cause your immune system to start tagging the wrong things as dangerous. One person may have a genetic predisposition to MS, while another person is predisposed to celiac, and a third is predisposed to lupus. Meanwhile, someone without a genetic predisposition to any autoimmune diseases can contract EBV and have no problems with it. In this study, published in the medical journal Nature Genetics, researchers looked at the genetic impact of several proteins in EBV. They found that one of them, called Epstein-Barr virus nuclear antigen 2 (EBNA2) interacts with half of the known genes that put someone with European ancestry at risk for lupus. This is the first study to demonstrate that EBV has this ability, and that means the case is far from closed. Further research will need to confirm the link. However, this points the direction for such research and some scientists are hailing it as a paradigm shift. Chances are good that you'll come in contact with the Epstein Barr virus at some point in your life. At this point, we don't have a vaccine for EBV. The new study findings may spur more research into a vaccine, because it wouldn't only be used for stopping the spread of mono, but for preventing multiple life-long, potentially debilitating diseases. Meanwhile, if any of these illnesses run in your family, it's possible that you have a genetic predisposition. If you've been diagnosed with mono, talk to your doctor about the possible increased risk of autoimmune disease and know the symptoms. Early diagnosis and treatment are important to your long-term health. Harley JB, Chen X, Pujato M, et al. Transcription factors operate across disease loci, with EBNA2 implicated in autoimmunity. Nature genetics. 2018 May;50(5):699-707. doi: 10.1038/s41588-018-0102-3. Are You at Risk for Japanese Encephalitis?